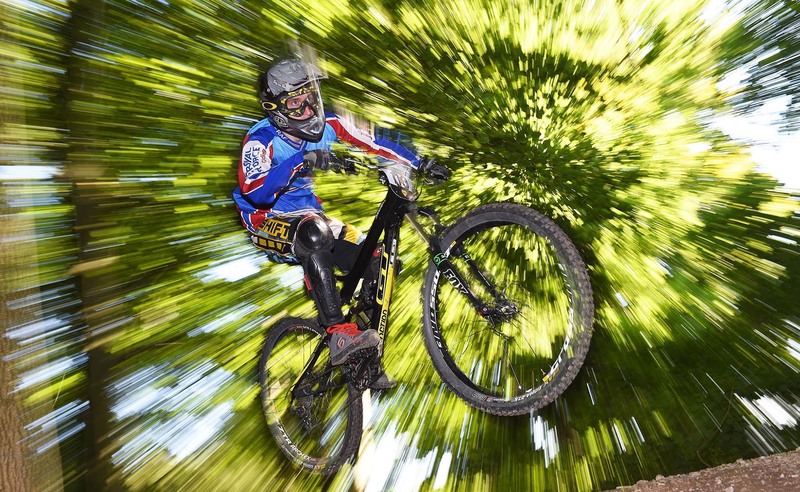 This is your chance to shoot one of the most amazing action packed sports around - Downhill Mountain Bike Racing - at one of the best events. 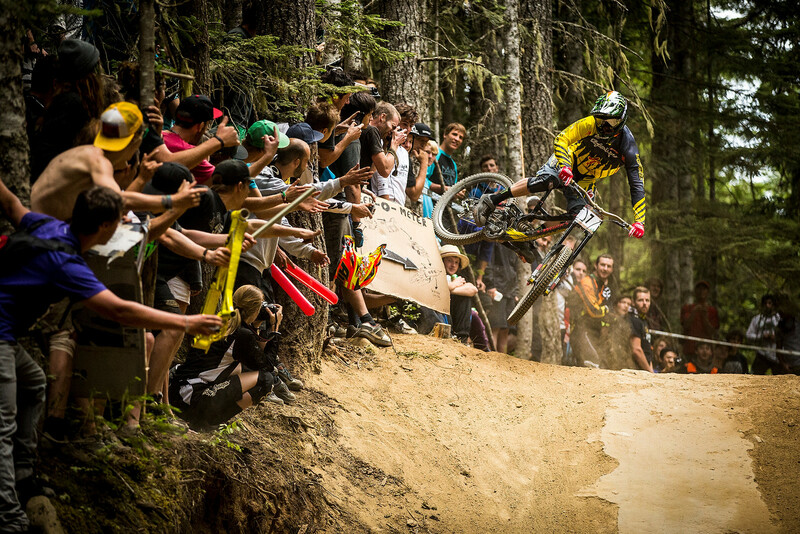 The Red Bull Mountain Bike World Cup takes place at Fort William in Scotland on 3rd and 4th June. 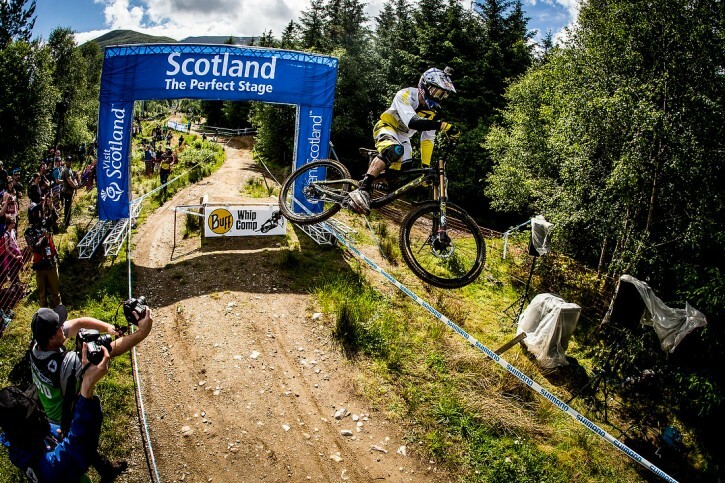 The Nevis Range and the uncompromising slopes of Aanoch Moor are the incredible location and backdrop for this weekend of racing - a fantastic setting for what will be the best and most dramatic downhill racing around. 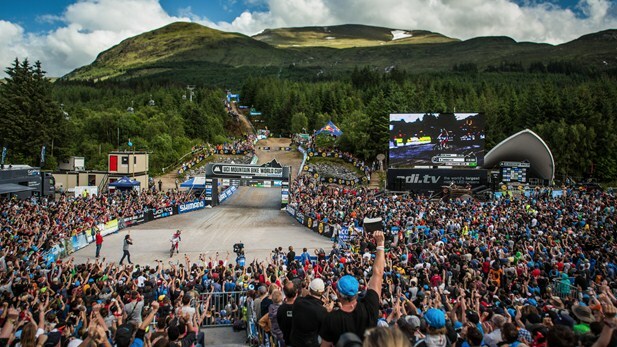 The best of the best compete at Fort William and the race is also the best attended on the UCI World Cup circuit. The racing provides for some of the best sports action photography around and we shall be shooting in the heart of the woods right up close to the riders as they fly though the air taking on some of the amazing jumps and negotiate some of the biggest and nastiest rocks and tree roots and turns around. I will teach you how to get some incredible images, from freezing the action with fast shutter speeds to creating your own feeling of speed and motion by combining slow shutter speeds, flash and zooming all at the same time ; slow-flash-blur-zoom !! Incredible! We will start with a full photo technical briefing each by me before we hit the downhill action. I will take you through various photo techniques that will enable you to capture some amazing pictures just a few feet from the action. It's just incredible to be so close. This is a fairly physical workshop as we move up and down the course amongst the trees to find the best angles to shoot from, often from low down amongst the undergrowth to maximise the impression of speed and visual impact. However the course fee includes full access and use of the gondola network to take take you up and down the mountain. These are the same as the gondolas used in the skiing season. Don't worry, I can get as technical as you like and will gauge everyone abilities quickly. If you're someone that really wants to push your sports photography forward experimenting with new techniques then this is for you, but you can also get great pictures too if you want to keep things simpler. Don't be scared - whatever you photographic level I will take you to the next step, and beyond. THE FULL WEEKEND COURSE IS POSSIBLE WITH FLIGHTS OUT ON FRIDAY EVENING AND BACK ON SUNDAY EVENING - AVAILABLE FOR UNDER £50. Fort William is just over two hours in a car north of Glasgow or and hour and a half south of Inverness. Return flights from London to Glasgow departing Friday evening at 19:00 and returning at 20:50 Sunday evening are£48 return at the moment. London to Inverness is £92 return. The event attracts 10,000 spectators each day and therefore hotel rooms are very hard to come by. However I have secured some rooms on the 2nd, 3rd and 4th June at nearby hotels for around £100 per night. I also have some twin rooms to halve the cost for those prepared to share. THESE ROOMS WILL BE ALLOCATED ON A FIRST TO ASK FIRST SERVED BASIS. This course will prove to be very popular. However places are strictly limited so please email me as soon as you canat info@sportsphotographyschool.co.uk to book your place, asking for either a Saturday or Sunday place - or both, and whether you require a hotel room. It's going to be incredible - be there ! PICTURES TAKEN ON THIS COURSE CANNOT BE OFFERED FOR SALE OR COMMERCIALLY DISTRIBUTED IN ANY WAY.